TR2952 : A six foot high road sign nearly buried by badgers! A six foot high road sign nearly buried by badgers! I am assuming this is the work of badgers. 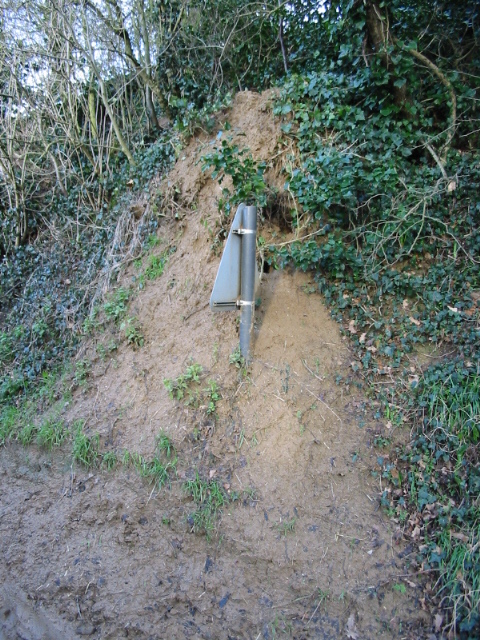 The bank is riddled with large holes and there are several places where the amount of earth dug out has caused a substantial slide down the bank on to the road.